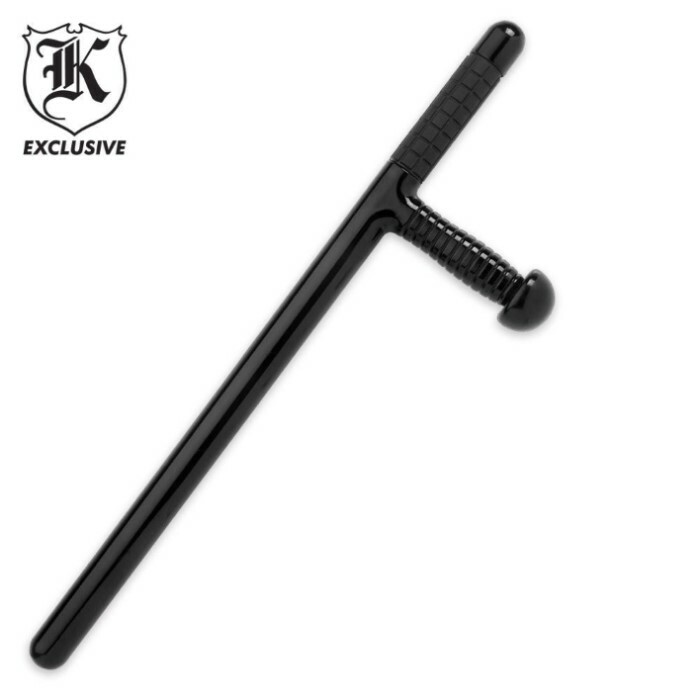 Law Enforcement Billy Club Police Baton | BUDK.com - Knives & Swords At The Lowest Prices! Widely used by law enforcement, military and security personnel, this Billy Club Baton brings your self defense capabilities up a notch! This solid fiberglass club will pummel anything, giving you defense you can count on. It offers a secure non-slip grip, allowing you to strike, pry, jab and breach like a pro. I was certified years ago with the pr-24 as a police officer...I believe this is made better than monodock. This is very well made, but the knob on the "L" grip is a little over sized, but for the price you cant go wrong. Well made and seems durable for training and regular use. I liked this billy club nice and solid built worth every penny. Just bought a pair of these, and I love them. They're larger than I'ld originally envisioned, but that makes them all the more efficient, right? The grip on the end is secure, comfortable, and definitely trustworthy. I use these like tonfas, so the fact that they run up the entire length of my forearm as well as a few inches plus is, well, a plus! I would recommend these to anyone, any day.